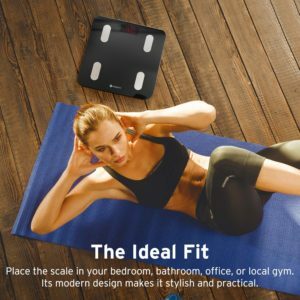 Etekcity Smart Bluetooth Body Fat Scale, Digital Bathroom Weight Scale with Smartphone APP to Monitor 13 Body Composition Include Body Fat, BMI, BMR, Muscle, Water, Bone and More, 400 lbs is now available at Amazon.com for just $24.99 (REG $49.99) (As of 07 February 2019, 18:37 PST – Details) with $25.00 (50%) Savings. 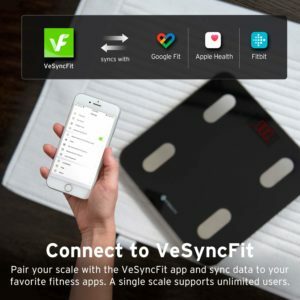 Syncs with Fitness Apps-Works with Bluetooth on iOS and Android. 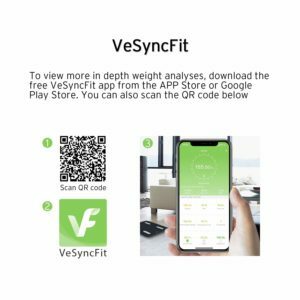 Free VeSyncFit app syncs data with Apple Health, Google Fit & FitBit, so you can store all your data in one convenient, centralized location for viewing trends and tracking progress. 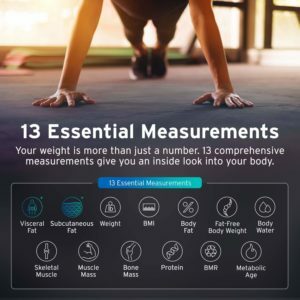 FULL BODY COMPOSITION ANALYSIS- Get 13 essential measurements including Weight, BMI, Body Fat, Visceral Fat, Muscle Mass, Bone Mass, Body Water, and more! You can weigh yourself anytime, even without your phone on hand. The data will sync to the app once your phone and scale connect again. 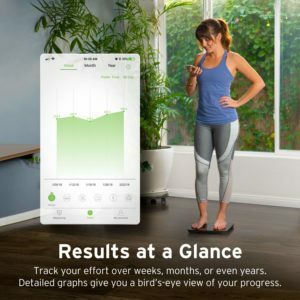 ONE SCALE, UNLIMITED USERS-This smart body fat scale allows you to create unlimited member profiles to seamlessly track multiple users; a family can share one scale together. It’s convenient when every member knows their body metrics and knows specifically what to work on. Especially helpful for body builders and those working on weight loss. HIGH ACCURACY-4 sensors with the latest technology deliver accurate weight measurements up to 400 lbs (180kg) in 0.2 lb/0.05kg increments. 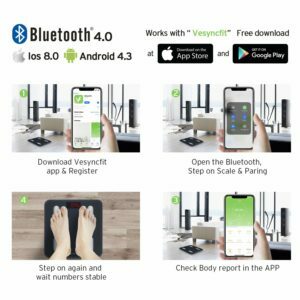 Bluetooth scale with 6mm Tempered Glass lager platform, Enjoy step-on technology and auto-calibration, 3 x AAA batteries included. Easily change weight units through the app (lb/kg/st). 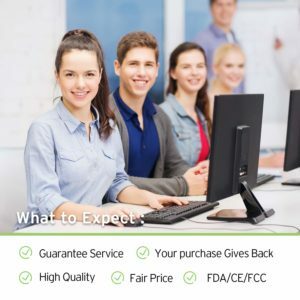 US-BASED CUSTOMER SERVICE-100% satisfaction guarantee! 1 YEAR WARRANTY, plus lifetime support provided by Etekcity. 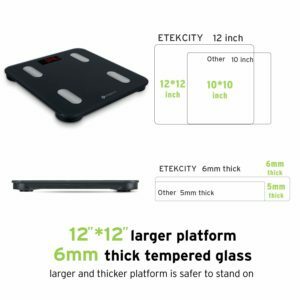 Etekcity’s smart Bluetooth fitness scale utilizes BIA technology to calculate 13 body composition data: Weight, BMI, Body Fat, Fat-free Body Weight, Subcutaneous Fat, Visceral Fat, Body Water, Skeletal Muscle, Muscle Mass, Bone Mass, Protein, BMR, Metabolic Age. With this in-depth analysis, you’ll be able to focus on what matters most to you.